To use VMware Data Recovery technology we have to install Data Recovery Plug-in & Appliance. Data Recovery Plug-in for vSphere Client will help us to connect to the appliance & do necessary configuration to take backup job. If you are interested to know how it works etc…I have another post regarding VMware data recovery; you may like to check that out! 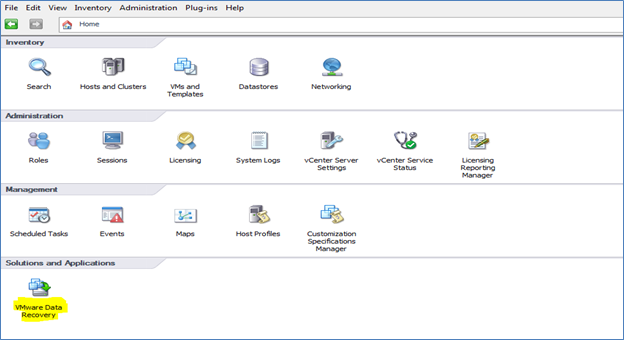 Close your VI client & re-open for plug-in registration. Now validate the Plug-in section again. In Data Store windows select right data store where you like to keep this virtual machine. Switch on the virtual machine; As it is a Linux appliance, Linux Boot Loader Process will started & at the end console will look like below. I have a test DHCP in my lab, so it picked up IP address from the same. You can change default password using “passwd” UNIX command. Click on Network Tab then Address; Type necessary information & click on save settings. From Virtual Machine settings add a Virtual Hard Disk to the Virtual Machine. We will use this device as a backup destination. 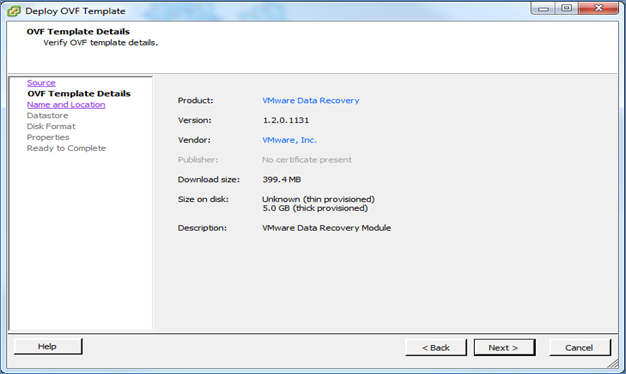 Click on the VMware Data Recovery Appliance, it will open up below screen. Type IP Address or Name of the Appliance & Click connect! It will challenge you for correct vCenter authentication. 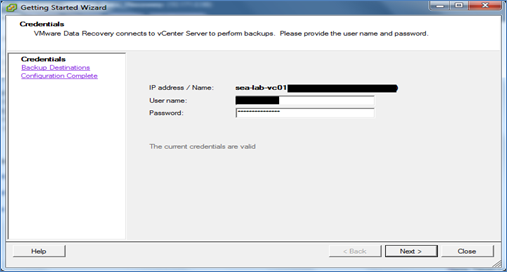 Appliance uses this user account password to connect to vCenter to perform backup & restore jobs etc. So this ID must have administrator right to the vCenter Infrastructure. It will show you to choose the backup destination for the appliance. 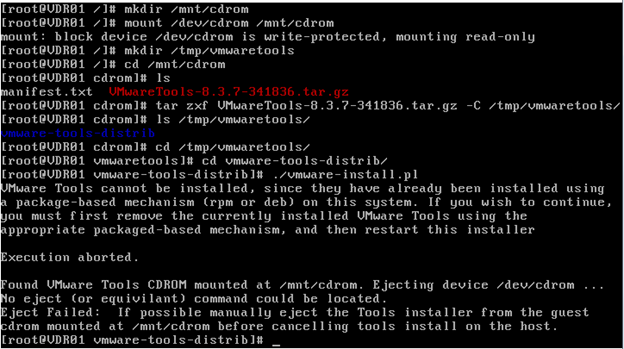 If you have already added a VMDK (virtual drive) to the appliance it will show up over here. You can also add a network share (CIFS) from this window. Select the volume where you like to store data & next. Now observe new changes related to backup & restore for each virtual machine. To use the configured backup destination to store data; You have to Format the Device & Mount the Device to the appliance. For the same click the device name (like /dev/sdb in above snapshot) & click Format. It will warn you for data lost. If you are configuring a brand new device click okay. But if you are connecting to a old de-duplication store click Cancel & Just mount the same from mount option. After you click okay, it will format the device – assign SCSI device number & mount the same. If you select the backup device it will show device details at bottom of the screen. As it is a new store duplication size etc are empty. 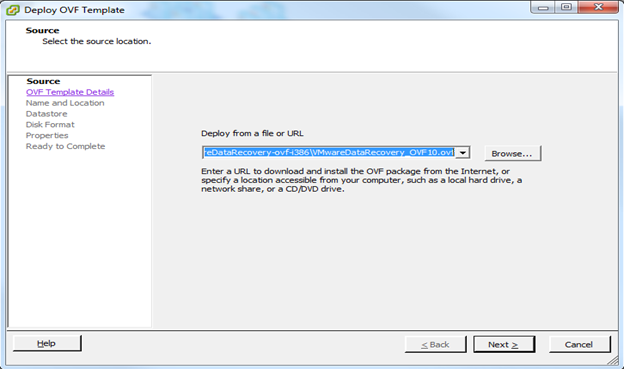 In Backup Job: Virtual Machine window select the virtual machines you would like to backup using this configuration. 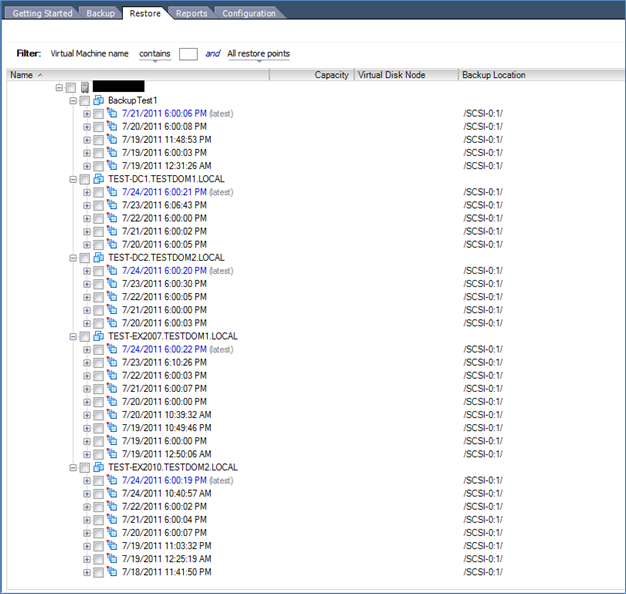 Either you can select a individual machine or multiple machines or any top level of objects from the vCenter. For demonstration I have selected one machine (Windows 2008 R2 + Exchange 2010) server. While a job is running you can see Original virtual machine hard disk has been hot added to the virtual appliance & it is copying data to destination. In the same time when backup is running, you can browse the virtual machine folder & see the snapshot file. After completion of backup you will able to see backup success or failure logs in the reports section. All of my 5 test virtual machines are based on Windows 2008 R2 operating system & having some specific roles. You can see below screen for the total disk space usage in the 4th colum from the left. Let’s check how many restore points I have for these virtual machines; Remember this is my lab – there are not much data is getting changed!